ICG provides full technical support for all the products and services it provides. This support is available both by telephone and on-site. 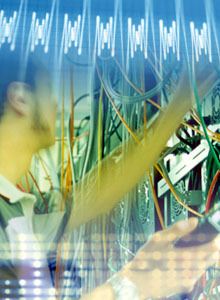 For network installations, ICG offers comprehensive continuing maintenance and support including swift emergency call-out and repair services from a network of strategically placed service centres. We also provide on tap telephone support covering all aspects of the computer system. With just one number to call, you can be certain that no matter what part of the network has a problem  and this may not be immediately apparent  we will deal with the problem with the minimum of disruption to your organisation. Our help desk is just a call away  and we can dial into your system remotely to provide immediate support and software fixes. We also support PC and Mac operating systems and applications, network operating systems, structured cabling and provide first and second level Microsoft support. Our engineeers also provide support for SQL based applications installed by ICG.